DRUL Presents: Volume 8-Bit Episode 1! 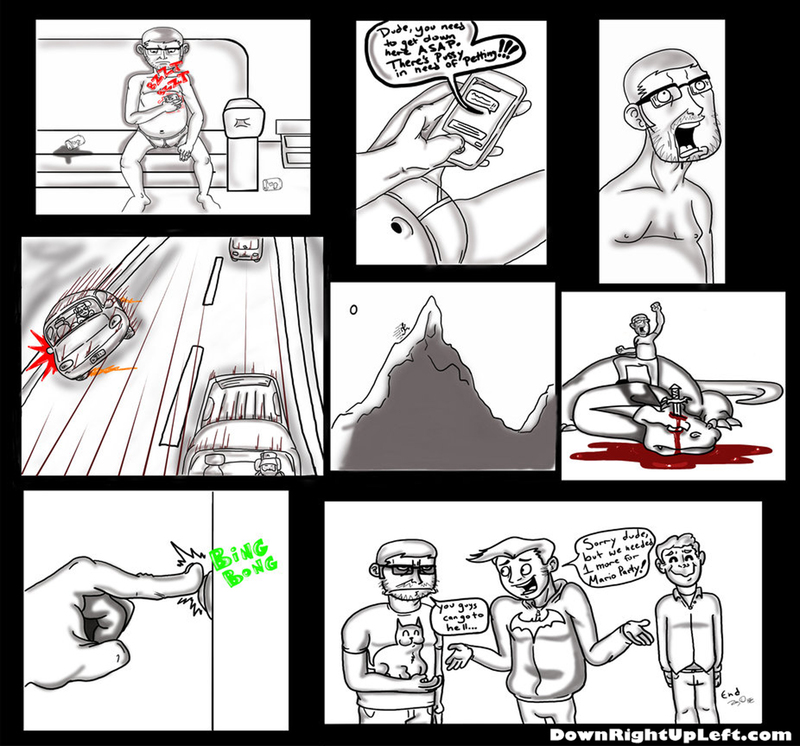 This is a comic series created by a man with few words, but his art speaks for him instead. He goes by Ray Ortiz in the real world, but we all know him as “The Unknown Credo”. I tried to get a few words out of him, and he sent me a text with very little, but its enough to make it on here! He has help with the comic too, Erick Greenlee took over some of the writing in the later episodes of the series. This is an on-going project and we will try to release a new strip every Thursday for your viewing pleasures! Here it is! The first issue of Volume 8-Bit! DRUL Presents: Volume 8-Bit Episode 4! DRUL Presents: Volume 8-Bit Episode 3! DRUL Presents: Volume 8-Bit Episode 2! The day is finally here! FREE COMIC BOOK DAY!